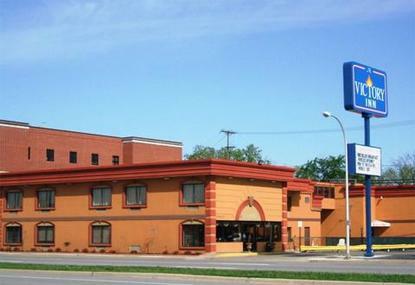 A Victory Inn Dearborn approximately 2 miles from the Henry Ford Museum, 4 miles from Detroit Metropolitan Wayne County Airport, and 25 miles from Detroit City Airport. Local attractions include Cobo Center, Comerica Park, Ford Field, and Windsor Casino. Hotel amenities include free continental breakfast, free coffee in the lobby, fax/photocopying services, and free parking. Guest rooms feature satellite/cable TVs, A/C, irons, ironing boards, and telephones. Rates are based on double occupancy. Charges for extra adults may apply and will be due directly to the hotel.